Where the repo URLs are just the same as the ones you use as update sites or p2 repositories when installing a feature in Eclipse (you may want to always put the eclipse distribution main update site, e.g., http://download.eclipse.org/releases/juno), while the feature IDs are the actual identifiers of features you want to install; knowing the correct feature ID might not be immediate to discover, if you’re only used to the names you see in the update manager. The final -vmargs are just some additional arguments which you may want to skip. This entry was posted in Tips and Tricks and tagged eclipse on October 16, 2012 by Lorenzo Bettini. Thank you for the post, I was looking for this to automate the installation process of Eclipse. I’m trying to do this in Ubuntu but it seems there is a bug in p2 that causes problems with the signatures and this method cannot be used (see https://bugs.eclipse.org/bugs/show_bug.cgi?id=255518). Have you found some work aorund on this? Tahnk you! I have tried using this method to install a plugin from a local repository but can’t seem to get it to work. Are there any changes that should be made using a local repository? Also no more logs pop up in the \SDP\configuration folder so I assume my command is correct is there any other way to possibly check this? And you get no error? However if you have a local repository, you must make sure to specify it using file:/ otherwise p2 won’t pick it up. can you give any example to install using local repository file..
I´m not really sure what your first arg (./eclipse) is for, but I got an error on it and just removed it from the command. Still I am failing, though. What I tried ist to use the “-shared” option poiting to some local folder for a test. What I got was a NullPointerException on the canWrite method call of the DirectorApplication. Any help on this? Leaving that out it works, although it is useless to me, if I can´t choose where to install the plugins. You may want to try to use -shared only for installing the main product, e.g., org.eclipse.sdk.ide, without any additional feature (remember that if you use -shared, it means that you want to use bundle pools. I assume that’s what you want. So you also need to specify a profile and the bundlepool location). 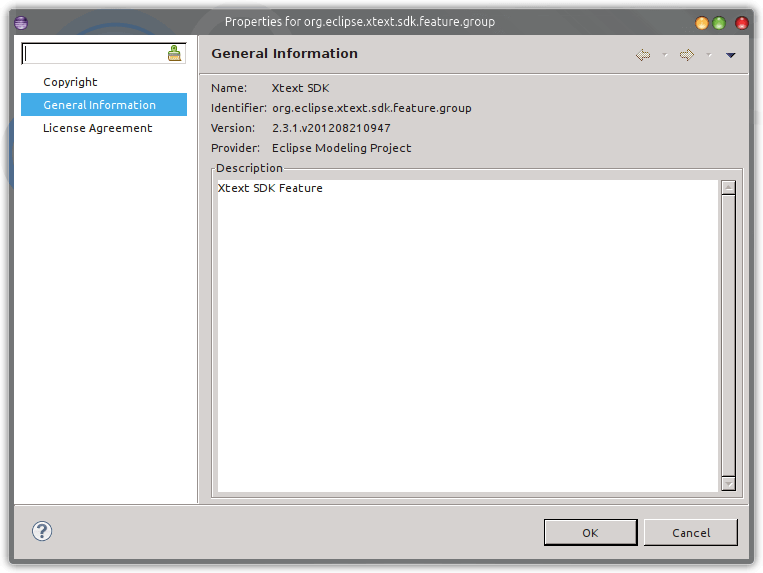 After the main product is installed, you can simply install the additional features by using the eclipse executable of the new installed product, without any further shared, bundlepool arguments, since that eclipse installation already knows about that. That’s what I do with an ant script, which I still haven’t blogged about. le org.eclipse.core.runtime.compatibility 0.0.0’ but it could not be found). My eclipse (Mars) is under “C:\Appl\eclipse”, destination for the plugin should be “C:\Appl\PluginTest\clTest”. I wasn’t talking about installing plugins in a different locations: I was talking about bundlepools… are you familiar with that? I am not really familiar with bundlepools (, yet). If you told me it was a solution for my “problem” I´d read up on it. If I try to install the same from eclipse ui, I see Eclipse Remediation Page where I have an option to select ‘keep my installation the same and modify the items being installed to be compatible’ where I can bypass the error and get the installation done. Is there a way(command/property) where I can bypass the error and get the installation done from command line. Can you please let me know the command to install BIRT from command line offline. I have downloaded 4.6 update site of BIRT and pointing that as pluginPath in the below command. Thanks for the quick reference for the p2 installer. I would also like to install a feature from an archive of an update site (one I’ve build from source). Is there a way to code the repository argument to accept a file/dir/archive? You can always specify a directory using “file://…” but I have no idea how to specify a zip file… you might want to ask on the p2 forum. You could use “jar:file:path/to/update-site.zip!/” (note the !/ at the end). That’s enough, thanks a lot. The information of installing from the command line was great. But with so many plugins and features everyone will end up with a custom eclipse installation. Could these be done by the eclipse install manager OR command-line ? PS: I found that by making the default .\features & .\plugins inside the eclipse installation – READ-ONLY – the new plugins-features get installed, inside a .eclipse folder in the HOME directory of the user – so they can be zipped up and above steps followed manually.